Size: about 10x4.2x2cm(Approximate number)Minor errors are allowed due to differences in measurement methods. It can help your face relax, thus reducing the wrinkles and promoting skin suppleness. 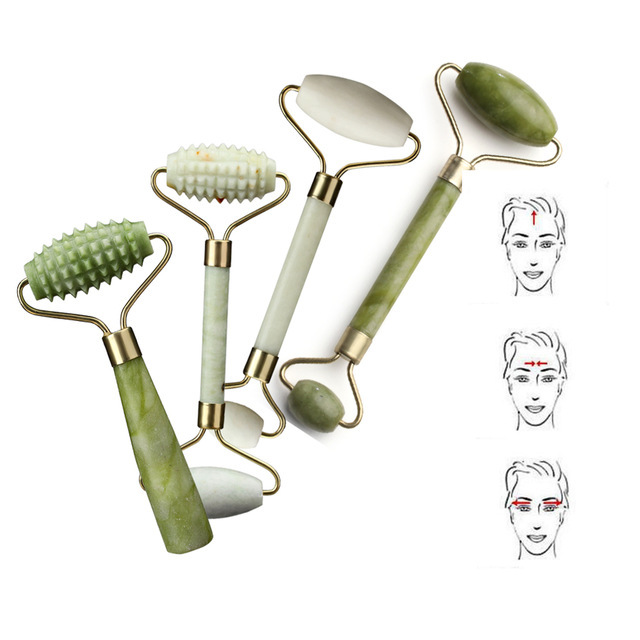 Since the color and pattern of natural jade are different, the pattern and color of each massage roller may be different. I hope you can understand it. Please don\'t give us a negative feedback for this reason. We will try to show its true color and size.